Preachers like me have let our churches down by emphasizing that God saves us by faith alone—”Just as I am without one plea/ But that thy blood was shed for me”—without also emphasizing that an important part of salvation is what happens after we believe: Through faith we receive a new birth by the Holy Spirit. We’re no longer slaves to sin. Yet we often live as if we still are. What’s stopping us from overcoming sin in our lives? That’s what this sermon is about. By contrast, let’s remind ourselves of an airliner crash not long ago about which we know exactly what went wrong—and all the things that went exactly right in order to save the lives of everyone on board. I’m speaking of U.S. Airways Flight 1549, which left LaGuardia bound for Charlotte in 2009. Shortly after takeoff, the plane’s jet engines were disabled by a flock of Canada geese who had gotten in the way of its flight path—a potentially deadly coincidence. Within the two or three minutes that remained before the plane crash-landed, the captain, Chesley Sullenberger III, “Sully,”and his copilot had to make literally dozens of life-or-death decisions—including where they could safely crash-land the plane in a densely populated area. The nearest airports were too far away, the New Jersey Turnpike would endanger too many lives. 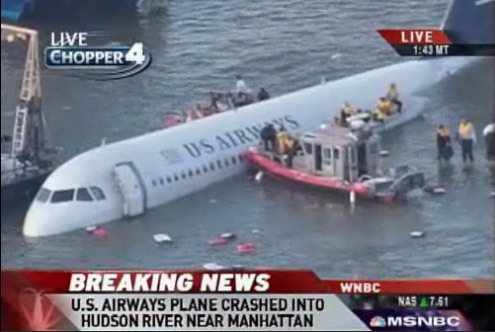 The safest option, Sully decided, was the Hudson River.And then it required incredible skill to glide the plane to a safe landing on the water. There were probably 5 millions ways to get it wrong—costing the lives of everyone on board, if not other people in New York City—and exactly one way to get it right. Sully found that one way. How did he do it? He had never crash-landed a plane before, or practiced this exact scenario on flight simulators. He didn’t have time to consult a manual or even think much about what he had to do. In order to be successful, his decisions and his actions had to be automatic. And he had to make them without freaking out or losing his cool. Please notice: Sully’s success wasn’t a matter of doing what came “naturally”to him. After all, he wasn’t born knowing how to fly a plane, much less crash-land one. Doin’ what comes naturally (doin’ what comes naturally). As the lyrics of that song imply, “doing what comes naturally”doesn’t always serve us well. In fact, doing what comes naturally is often our problem—as the Bible teaches us again and again. In Romans chapter 7, the apostle Paul adopts the point of view of someone who is “doing what comes naturally.”He writes: “I do not understand my own actions. For I do not do what I want, but I do the very thing I hate…For I know that nothing good dwells in me, that is, in my flesh. For I have the desire to do what is right, but not the ability to carry it out. For I do not do the good I want, but the evil I do not want is what I keep on doing.” Paul says that when we “do what comes naturally”—apart from the saving and life-transforming grace of our Lord Jesus Christ—it’s as if we’re at war with ourselves: we want to be better people but we find something within ourselves—within our sinful, fallen human nature—resisting our best efforts, fighting back, causing us to fail. And brothers and sisters, here is where preachers like me have let you down: We’ve told you again and again that God loves you unconditionally—“just as I am without one plea/ But that thy blood was shed for me”—that we’re saved by God’s grace alone and not by what we do. And that’s true…as far as it goes…But it doesn’t go far enough. So we don’t strive very hard to change our behavior—to become better, holier, more Christ-like people. We imagine that becoming holy—much less being perfected in love, as John Wesley would say—is just some sort of impossible ideal anyway—at least until we get to heaven. In the meantime, we’re just stuck in Romans Chapter 7, slaves to our sin, slaves to our fallen human nature, slaves who are trapped doing the devil’s bidding. We want to do good, but we can’t carry it out. It just shouldn’t be this way! Remember I said earlier that Captain Sullenberger was able to safely crash-land his airliner in the Hudson and save everyone’s life because he wasn’t“doing what comes naturally.”But if we could go inside that cockpit on that day, and see him in action while he was making these decisions and executing these tasks and skillfully gliding the plane to a safe landing, it would look completely natural. But that’s only because we hadn’t seen the years of practice and discipline and hard work that turned these decisions and skills into habit and instinct. Sully made it look natural, not because he was following his nature, but because he was following his second nature. All of us died to sin. How can we still live in it? Or don’t you know that all who were baptized into Christ Jesus were baptized into his death? Therefore, we were buried together with him through baptism into his death, so that just as Christ was raised from the dead through the glory of the Father, we too can walk in newness of life. We Christians who’ve placed our faith in Jesus and been baptized can walk in “newness of life”right now. We’ve received a new birth by the Holy Spirit. We have a new nature…a second nature. We’re no longer slaves to sin. The shackles have fallen off, our chains are gone, the prison door is open wide—what on earth is stopping us from walking through it? What’s stopping us believers in Jesus Christ from saying no to sin? What’s stopping us from saying not only, “It shouldn’t be this way,”but “It’s not going to be this way any longer!”I’ve got a new life in Jesus Christ, and get thee behind me, Satan, because I have the Holy Spirit, which means I have all the power I need to change! I want to talk now about two important obstacles that often prevent us believers from successfully overcoming sin and disobedience in our lives. The first obstacle is that we have no fear of the consequences of our sin. We don’t believe God would punish us for our sin. We don’t believe we could be judged for our sin. But how can we believe that, when James issues this warning in verse 1 of this chapter? “Not many of you should become teachers, my brothers and sisters, for you know that we who teach will be judged with greater strictness.”He’s talking primarily to people like me. Preachers and teachers in church. In case you think I’m making too much of this judgment, consider what the Apostle Paul told the elders in the church at Ephesus when he was saying goodbye to them for the last time: “Therefore I testify to you this day that I am innocent of the blood of all, for I did not shrink from declaring to you the whole counsel of God.” In other words, he says, “I’m not responsible for anyone’s eternal fate—whether they spend eternity with God in heaven or whether they are eternally lost in hell.”And why isn’t Paul responsible? Because Paul has used the gifts that God has given him to the best of his ability. He’s completed the task that God called him to do. He’s told his listeners everything they need to know in order to be saved. He can’t save them himself, of course—their response to the gospel is up to them. But he’s given them everything they need to make a decision, so their blood isn’t on his hands. So, that’s how high the stakes are for me. I’m going to face the Lord’s judgment for how well or how poorly I’ve been a steward of the gifts that God has given me. And so will you! We won’t all be judged according to the same standard, but we will all be judged. We’ll be judged, for example, for how well or how poorly we’ve been stewards of this church that God has given us here at Hampton United Methodist. Have we faithfully used what God has given us to share God’s love with people in our community? Just yesterday, some of us did something we’ve never done: we walked up to complete strangers and handed them a small package of Kleenex at the Yellow Pollen Festival. 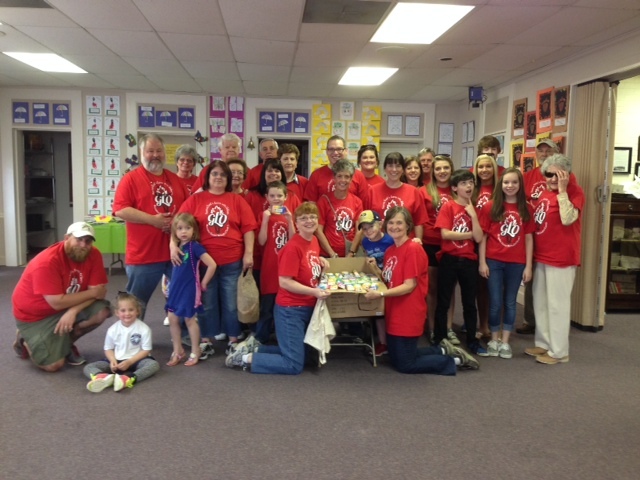 We did this for one simple reason: to share God’s love in a practical way. I love what one person posted on our church Facebook page: “Thank you very much! Right before I ran into one of you I was trying to use a baby wipe. The Kleenex are wonderful!” Isn’t that awesome? I know this was a small gesture, but we stepped out of our comfort zone and shared God’s love with 320 different people yesterday—320 souls who, like each one of us, need the saving grace of our Lord Jesus Christ. And there were some of you who’ve probably never before deliberately witnessed to your faith in Christ, yet you got out there and did it! Praise God! But speaking of witnessing, James would agree that there are few things that harm our witness as much as our tongues…the words we use. And she was exactly right. I responded back to her with this: “I decided this morning to back out of this blog because I can’t change my tone. I’m not the Incredible Hulk, but when I read this blog, I feel like my skin is turning green, and I don’t like this angry and defensive person I become. I’m not that person, or at least I’m trying not to be.”And I apologized to my fellow pastor. Let’s face it, this blogger is my enemy. And I feel like my cause is just. I feel righteously angry. But you know whose cause was perfectly just and who was perfectly righteous? Jesus. And you know what he did to his enemies: he let them beat him, mock him, scourge him, nail him to a cross. While they cursed him, he blessed them and said, “Father, forgive them, for they know not what they do.”And he loved his enemies so much that he died for them, receiving the punishment that their own sins deserved. And if you grasp that gospel truth, then there’s no way, James says, that you can bless God while cursing others—even those people who are your enemies. Because you understand that you yourself were an enemy of God—yet God loved you so much he gave his life for you. In his book The Divine Conspiracy, Dallas Willard says that while we Christians often talk about failing to “live up”to what we believe, the truth is, we will always only live up to what we believe—or live down to what we believe. In other words, if we won’t tame our tongues, and if we won’t do other things our Lord commands us to do, it’s because we don’t believe Jesus. Willard says that while we’re happy to trust in Jesus for our salvation, we often aren’t willing to trust Jesus when he tells us how to live our lives! Why? Don’t we think that in addition to being the way, the truth, and the life, and God’s only begotten Son, Jesus is also the smartest person who ever lived? And that we should listen to him because he knows what he’s talking about? That obeying Jesus means not only heaven when we die, but a new and better quality of life right now—an abundant life, a life of love, joy, peace, patience, kindness, goodness, faithfulness, gentleness, and self-control? “Lord, I know that what you’re telling me to do through your Word is hard. I know that all your words about denying myself, and putting other people’s interests ahead of my own, and giving away so much of my time and money to serve you; making prayer a top priority in my life; keeping myself sexually pure; loving my enemies; taming my tongue, sharing the gospel with others; reaching out in love to the least among us—I know that all these things are hard. And they don’t come naturally to me. But I’m going to do them anyway. Because the idea of not doing them, which means failing to obey you, is out of the question. It’s unthinkable. “I repent of the ways I’ve often failed to take your Word seriously in the past. I repent of all my sin. I know that I will still stumble, as James says in verse 2. But when I do, by the power of your Spirit, I’m going to repent, and get right back to serving you. “I’m not obeying you because I believe that by doing so I’m earning your favor, earning my way into heaven. I don’t need to earn it; you’ve made me a child of God by your grace alone; not because of anything I’ve done. Instead, I’m going to do all these things out of gratitude for what you’ve done for me and because I trust that you know best. Only help me trust you more. Dallas Willard, The Divine Conspiracy (New York: HarperOne, 1997), 134. This entry was posted on	March 29, 2014 at 12:01 am	and is filed under Uncategorized. Very we’ll said. I would have liked to heard this in person. Your comments rightly highlight some of what ails the church today. While we focus on winning converts to the faith, what happens after – the discipleship part – often is left to chance because after all, the person is “saved” already. The gospel message often preached today focuses on the “believe” part of the gospel while omitting the “obey” part (Heb 5:9). While God’s grace alone saves us, we have also somehow come to believe that our faith alone saves us which is clearly at odds with what James declares in 2:24 of his epistle. As believers, we are admonished to repent of our sins but what if we repent with our minds but our subsequent behaviors show no such evidence that we have turned away from sin? Should not our deeds after conversion demonstrate that we have actually believed the gospel message? If not, we must then ask ourselves is the gospel that we preach today the same gospel that Paul preached? Paul wrote: “First to those in Damascus, then to those in Jerusalem and in all Judea, and then to the Gentiles, I preached that they should repent and turn to God and demonstrate their repentance by their deeds” (Acts 26:20). Paul preached repentance evidenced by deeds which agrees with James’ view that faith is evidenced by works. Tragically, I think you are right in your assessment that “the first obstacle is that we have no fear of the consequences of our sin” and that as believers, God won’t punish us for our sins. I have repeatedly heard preached/taught throughout my life that as Christians, we can never lose our salvation but at the most we will only lose our rewards or fail to reach our potential in Christ if we don’t live sanctified lives. To me, this doesn’t square with what Paul warned the brethren in Rome: “For IF you live according to the flesh you WILL DIE, but IF by the Spirit you put to death the deeds of the body, you WILL LIVE” (Rom 8:13). Paul cannot be referring to physical death here because we know that physical death happens to everyone irrespective of how we live our lives. Thus, we can conclude that Paul is referencing spiritual death and he makes it clear that sowing to the flesh will reap spiritual death for believers. You don’t hear that message preached anymore but perhaps we should take Paul’s words more seriously. Very well said… Yes, the “once saved always saved,” as comforting as it is, doesn’t gibe well with these kinds of warnings! And I take to heart James’s words about people like me being held to a higher standard than others. I need to proclaim the “whole counsel of God,” and part of that means telling the truth about the need for sanctification. More positively, why _wouldn’t_ God also want to transform our lives so that we don’t sin anymore—if in fact we believe that sin is really a problem? If we’re saved from sin, we need to be saved all the way! So yes, it’s by grace through faith, but we have also have a responsibility to exercise that faith. 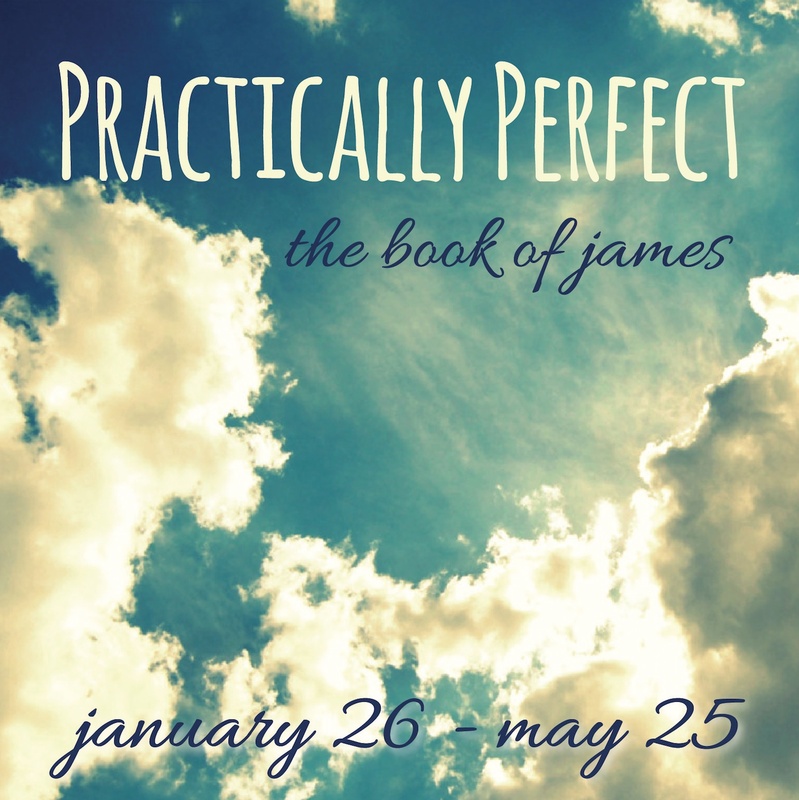 This James series has been an eye-opener for me. I’ve just never paid close attention to James before. It’s convicting! Keep preaching the truth Brent! We need more pastors who are willing to teach the whole counsel of God. When I used to believe in eternal security, I wondered why throughout the epistles, we as believers we are encouraged to love, admonish, encourage and edify one another. I figured we’re all saved so it just must be the “nice thing” that we should do to one another. But if salvation is a process and not just a decision based on a past moment of time, then it makes sense that we’re all in the same journey together endeavoring to stay on the narrow road with the goal of fighting the good fight and finishing the race. I truly believe that if we as Christians understood that, then we would understand our obligation to God and our mutual obligation to one another. Sounds to me what church should be like. Brent, I agree that we have given “works” or “repentance” too short a shrift, especially in the modern evangelical era. I don’t know whether we lose our salvation or not, as Stu says. But even if it is “merely” a question of rewards, I don’t find that to be insignificant. Whatever rewards the scriptures are speaking of, we should not belittle them; otherwise, what would be the point of talking about them? And those are forever. I bristle at the comments I sometimes hear, “Well, we are just going to cast our crowns before Jesus anyway, so what difference does it make?” Wrong in every way! First of all, when I bought my wife a wedding ring, I didn’t say, “Oh well, I won’t be the one wearing it, so what difference does it make.” Absurd! I wanted to get her something really nice, as a small toke of my appreciation of her. And so with whatever I “cast before” the King! Second, what do we think Jesus will do with all those crowns? Probably place them back on our heads, so we will be “wearing them.” Third, that is only one award referenced, and I am sure God’s rewards will be multiple, and not merely “physical” ones like crowns. For example, it’s like a song most people loved when it came out, which told of how many people one Christian had affected and helped come to the Lord that he knew nothing about in this life coming up to him to tell him about it when he got to heaven, and “great was his reward.” What could be more wonderful than spending eternity with people you helped to get there?! Finally, and I know this is a point we basically disagree on, but I still maintain that one aspect of God’s love is that it is conditional. In my view, I don’t see how God can love the people he casts into hell the same as those he allows into heaven. That just does not make any sense to me. Jesus tells us to help out our enemies, “and in so doing you will heap coals of fire on their heads”! And Paul says the same thing. So, how consistent is that with a “loving” sentiment? Also, “WOE unto you, scribes and Pharisees, hypocrites!” Again, how is that a “loving” sentiment? Actually, both ARE “loving” sentiments, but that is only true in a RELATIVE sense, which is what I mean by saying love is conditional. It is like a “scale,” with the Son himself at the top and Satan himself at the bottom. “And to those on his left, he will say, “Away from me, I cast you into the hell designed for the devil and his angels.” I just can’t find anywhere that God “loves all equally.” To me, I have as much difficulty with that as others have with me somewhat tenuously holding onto “once saved, always saved.” In fact, if I were to let go my weak grasp on that branch, I would tout “conditional love” all the more! So, we see Jesus saying, “If you love me, keep my commandments, and he that does so will be loved by me and by my Father.” The ultimate point here being, the bond of love between us and the Son and the Father will be all the greater for all eternity based on how strongly we responded to God’s love freely bestowed upon us in this life. And I think that is a pretty important thing, regardless of whether we can lose our salvation once truly obtained. 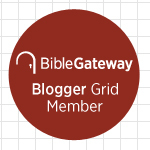 I don’t think it’s theologically correct to speak of degrees of God’s love, as I’ve said before. But given that our Lord might say either “Well done, good and faithful servant” or “I never knew you” and “Away from me, evil-doers,” I don’t think the words we wrap around this truth are nearly as important as the truth itself.